Travelers may wonder where exactly to check out when visiting Gyeongju, since there is lots of things to do and too many places to visit. 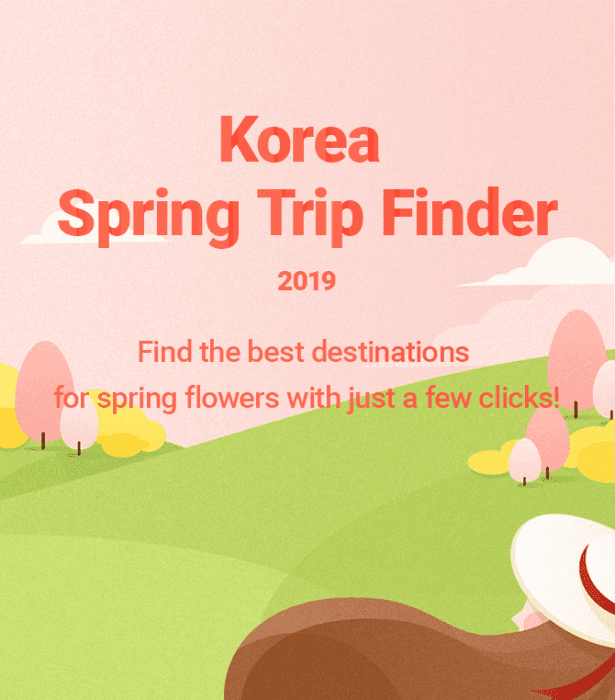 For those of you having trouble where to check out, take a closer look at our recommendations of things to do and places to go to build your trip to Gyeongju! 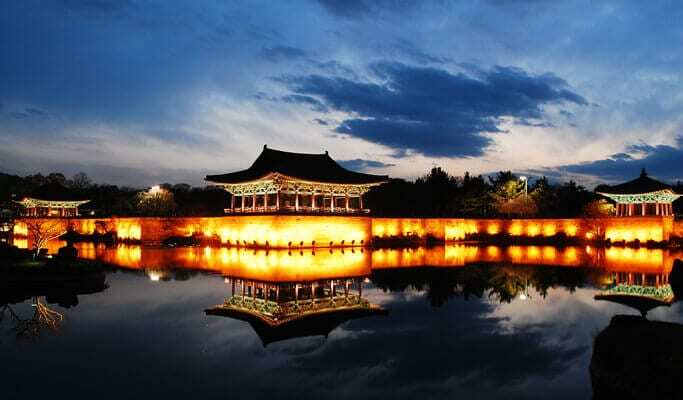 Donggung Palace and Wolji Pond (Anapji Pond) – Donggung Palace was the palace of the Crown Prince, and the pond was used as a banquet site for important events and visitors. After the fall of the Silla kingdom this site was abandoned and forgotten. Years past, and in the 1980s, pottery fragments with the word ‘Wolji’ written on them were found, revealing the true name of the pond. Known for its dazzling view at night, you can catch the reflection of the moon and palace shining on the surface of the pond, which is how the pond got its name. This night scenery is something you don’t want to miss. Gyeongju is home to a number of cultural heritage sites, some of which have been designated as UNESCO Heritage sites. if you visit these places, you’ll see why it’s so. Seokguram Grotto – Korea’s National Treasure no.24. Inside the main hall, is the famous Bon Jon Statue sitting on top a stage in the shape of a lotus flower. Although you can’t enter the hall and see all the detail of the stone carving, this place is still worth a visit as one of UNESCO’s World Heritage Sites, you won’t be disappointed! Book this tour to see the detail of stone carvings in Seokguram Grotto now! You can also go on a 1 Day Private tour and visit more Cultural Heritage Sites! Cheomseongdae Observatory – The oldest existing astronomical observatory in Asia. This extravagant structure still remains well preserved as Korea’s 31st National Treasure. You’ll never see anything like this one! Book a tour and witness the towering Cheomseongdae Observatory here! Bulguksa Temple – Is the representative relic of Gyeongju. The exquisite architecture of one of Korea’s famous temples exhibit intricate works, and the beauty of the temple is known throughout the world, bringing people from all over the world to visit. Book a tour and see Bulguksa Temple! You also have the choice to go on a City Bus Tour to see Bulguksa too! Or spend the entire day looking at multiple of Gyeongju’s Cultural heritage sites in this tour here! Yangdong Folk Village – Yangdong Folk Village is the largest traditional folk village in Korea, showcasing the traditional culture of the Joseon dynasty. The entire village was designated as a UNESCO Cultural Heritage Site due to its richness of cultural heritages, national treasures and folklore material. Approximately 160 houses, and 500 year old houses are nestled within the valley. Many of the houses are well preserved in their original state, offering a rare opportunity to view a variety of unique Korean traditional houses in person. Book this tour and head over to Yangdong Folk Village! Gyeongju Folk Craft Village – This place consists of 40 thatched and tile roofed houses, home to many Korean artisans of traditional arts and crafts. Not only can you purchase the products made by them, but some even offer you hands-on programs for you to experience! 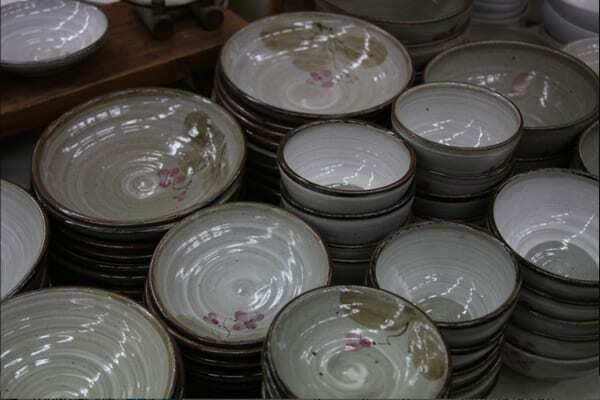 Grab your chance to watch Korean artisans do their stuff in Gyeongju Folk Craft Village! Walk along the paths of the Tomb Complex, or take photographs in front of the pink muhly as the trees shed their leaves and paint the landscape in red, warm colors. Daereungwon Tomb Complex – These tombs were tombs of people from the upper class during the Silla period. The tombs reach nearly 13 m in height with a diameter of 50 m each. The site itself is famous for having excavated 11,526 artifacts, and is the perfect place for a stroll. If you wish to visit Daereungwon Tomb Complex among other magnificent places, click below! Buy Gyeongju City Tour Bus Tickets! You can also go on an Autumn Foliage 1 Day Tour to Gyeongju from Busan to witness the beautiful Daereungwon. Pink Muhly Field – Autumn doesn’t always have to be about the warming tree leaves. There is a place in Gyeongju where it is beautiful all year round. People love to take profile pic worthy snapshots with the Pink Muhly in the background. 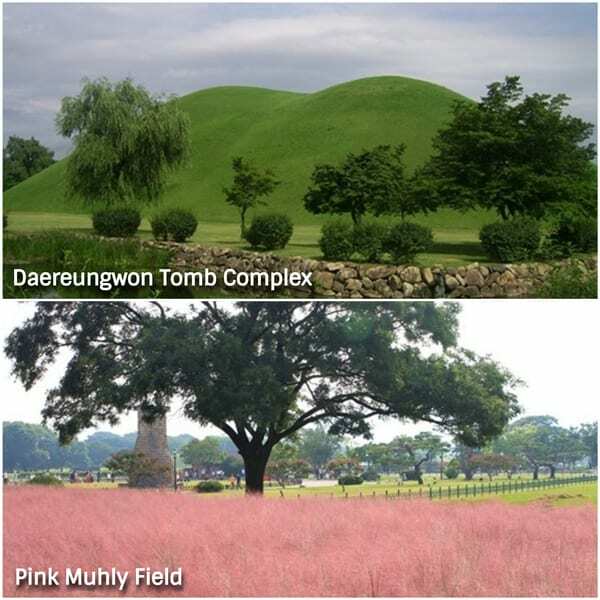 Check out the Pink Muhly Field 1 Day Tour from Seoul! 5. Visit the trendiest place in Gyeongju! Hwangidan-gil – Wear traditional Korean Hanbok and explore every nook and cranny of alleys full of hip places to check out, from cafes, to bakeries, antique shops and more! Book your tour and check out the trendiest place in Gyeongju now! 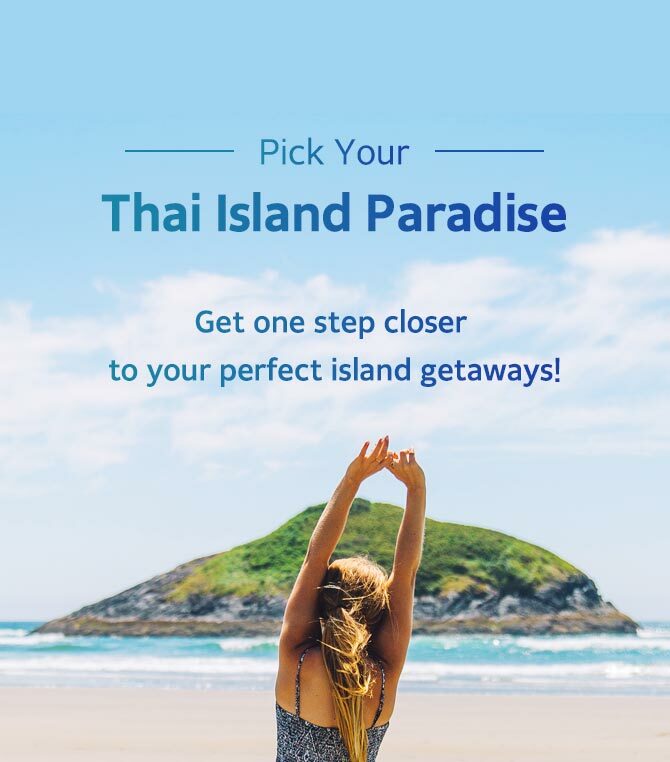 Don’t forget to browse Trazy.com, Korea’s #1 Travel Shop, to find the trendiest and latest things to do on your holiday in Gyeongju!